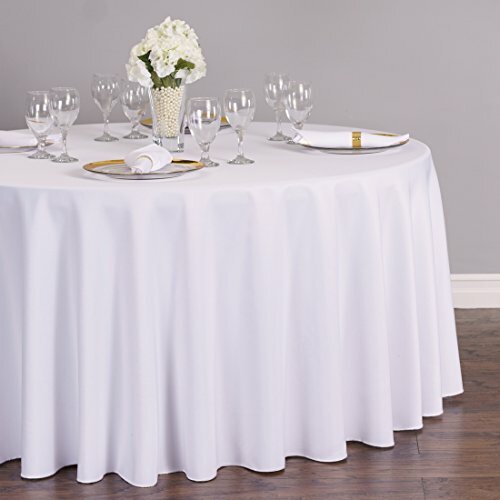 Our 108 inch round polyester tablecloth in white is an affordable table cover guaranteed to add a touch of class & elegance to any wedding or special event. 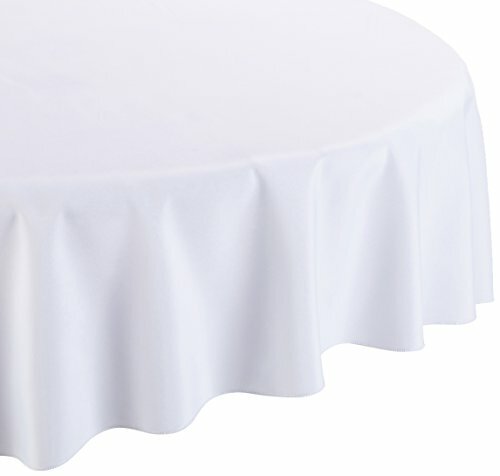 Our round tablecloth features a seamless design & a serged hem making it ideal for use at any wedding venue. 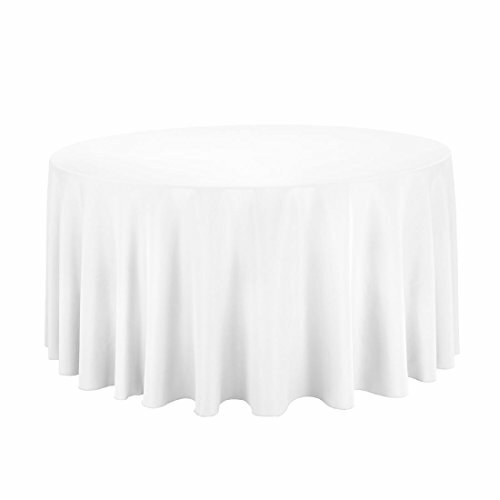 Round tablecloths are available in a wide array of colors designed to complement nearly any color scheme. Our tablecloths are made of woven polyester & are designed to be durable, wrinkle & stain resistant, & can be laundered countless times. 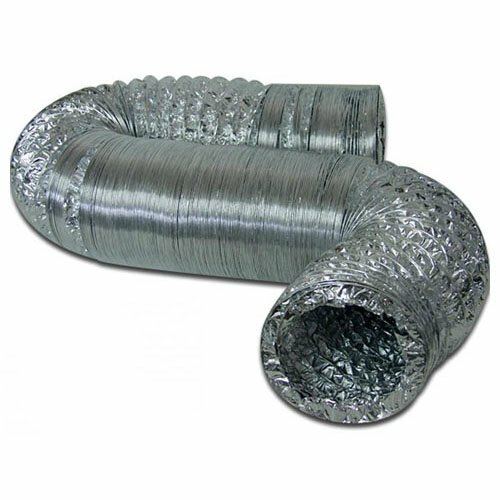 why rent round tablecloths when you can buy them at a cheaper price? 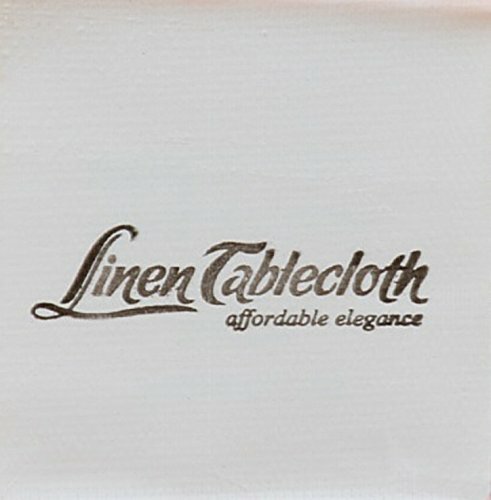 We sell tablecloths for less!